Strike King Rage Tail has a unique and exclusive tail design and is engineered like no other soft plastic. 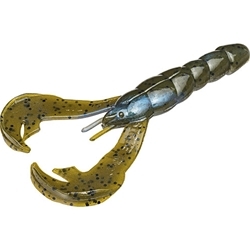 Each Rage Craw is designed with a specific purpose and uses customized hi-grade plastics for superior action. You won't believe the splash, noise, or other action that each Rage Craws have. The Strike King Rage Craw works great used as a jig trailer or simple by itself Texas rigged.